Shawn Luchtel is comfortable in front of and behind the camera. He’s also comfortable at full draw. 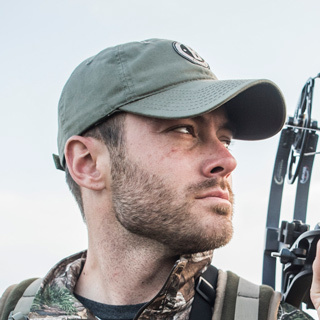 Alongside Mike Hunsucker on Heartland Bowhunter, Shawn has pioneered the world of storytelling, cinematography, and hunting. 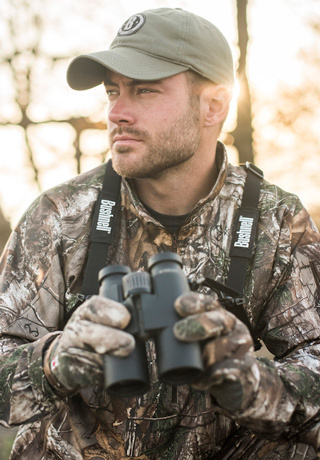 All to celebrate the lifestyle of the hard-core Midwest whitetail hunter and beyond. The first thing that goes through my head when I wake up is how can I better myself today from what I was yesterday. My favorite place to hunt would most certainly be out West. The scenery is unlike anywhere else. Capturing our lifestyle in remote environments out West is what motivates me. There’s always room for improvement in life. I am always looking for ways to better myself as a cinematographer. In doing so, I always want to expand my creativity. I look up to filmmakers that push themselves to the limits in life. People such as Renan Ozturk. Innovators that set the bar. There’s a love­-hate relationship with having the drive to tell our story. As a filmmaker, I am constantly driven to be better and capture more. At the end of an adventure, I have never fully felt satisfied. This always brings me back for more each year to be better than I was before. I like the sound of wind blowing through pine trees in the mountains. It definitely let’s you know you’re alive. If I weren’t working in the hunting industry, I would most likely pursue a career as a physical trainer. I enjoy working out, and I enjoy helping people achieve their goals. Fortunately this dream has been a reality for me. I get to bring my dad along on some of my hunting trips. He brought me into this world, taught me to hunt, and appreciate the outdoors. Being able to share my passion and career with him has been a blessing. YETI isn’t just a cooler to me. It’s a unique brand that stands for originality and strength. It’s simple...YETI is above the rest.